to Hester's Handmade Home a blog that gives you easy and frugal ideas into making your house your home. Every Thursday I post a craft tutorial on my YouTube channel Handmade home. Subscribe not to miss out on any post! My philosophy is that you don’t need much money or carpeting skills to make your house into a cosy, stylish home. With a simple idea, a little try and error you can create wonderful unique masterpieces. I will show you through simple to follow tutorials how you can make your own home accessories, soft furnishings and even wooden furniture. I'm a craft and DIY author, born in Holland but for the past 12 years living in the UK. I spend my childhood making things and redecorating every room possible, I must have been the only toddler in the world wanting to be a interior designer! But somehow this passion got snowed under and I became a makeup artist travelling the world on photo shoots. I love filming and interviewing creative people and am currently working on n online travel show with a crafty edge called Cities of Craft. Have a look at our pilot episode here. I have so far published 3 craft books with Cico books. Furniture Hacks (Aug 2015) , Crafting with Mason jars (March 2016) and Making concrete pots, bowl and platters (Feb 2017) are all available world wide. Find more information about the books, backstage video's of the shoots and some exclusive tutorials from the book on my book page . I often get featured in publications, either with my work, house (previous beach house and my current fixer upper) or with special written tutorials. 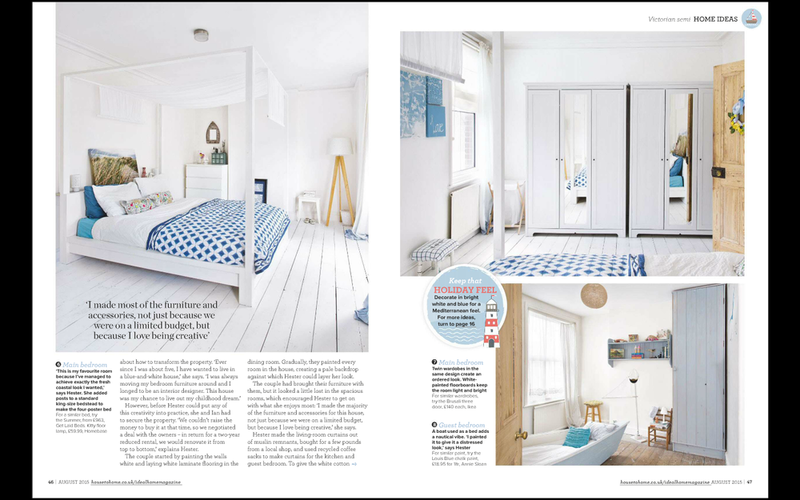 I've had features in Mollie Makes, Red online, Ideal Home, Ikea family magazine, Reloved, Modern Gardens, Metro, Lonny, Brit+Co, Libelle and many more. See some of them in the slide show below. If you would like to work with me please email me on hello@hestershandmadehome.com or fill in the contact form. I'm also on Twitter, Facebook and Pinterest. Find all links below.